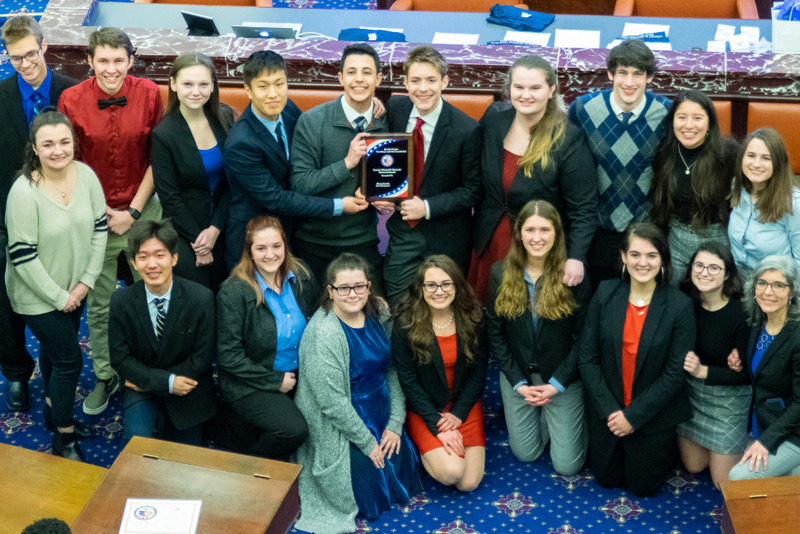 On Saturday, January 26th Easthampton won the statewide competition, We the People: The Citizen and the Constitution that was held in Boston. This is the SECOND year in a row the Easthampton High School Team has WON the State Title. Now the students of Easthampton High School’s class, We the People: The Citizen and the Constitution and our dedicated teacher Ms. Kelley Brown, are reaching out for your support to go to the National competition in Washington D.C. Public school participation in these types of programs relies upon the participation of great teachers like Ms. Brown as well as private funding. The 31st National competition , where we will represent the state of Massachusetts, takes the form of a simulated congressional hearing. 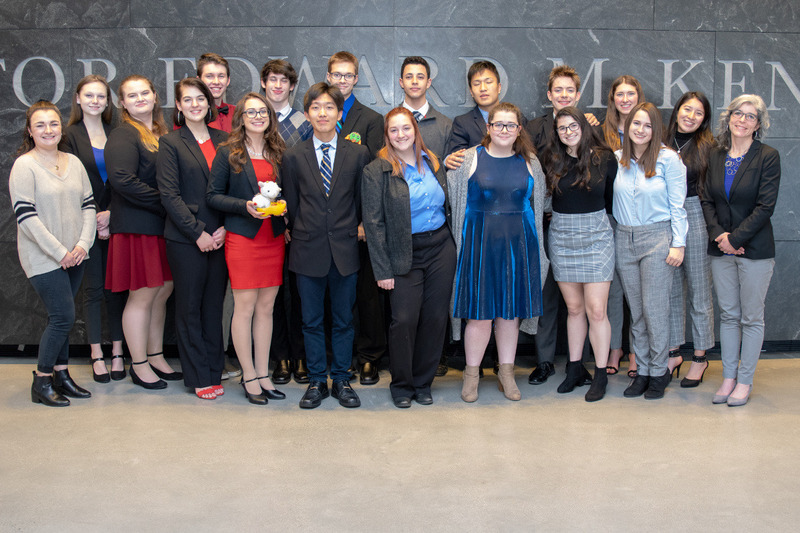 We the People National Finals will be held at the National Conference Center April 26- April 29th, 2019. During the hearings, we will testify as constitutional experts before panels of judges acting as congressional committees and be tested on our knowledge, understanding, and ability to apply constitutional principles. In order for our team of 18 students to compete at this prestigious National event we must raise $30,000 in funds. Will you help us represent Massachusetts this April in Washington D.C.? Any support you can provide will go a long way in helping us on our journey to becoming future community leaders. This page was set up by a parent that is working directly with Kelley Brown and the We the People Class - we will continue to update here as we receive donations. Thank you again in advance for your help. https://www.westernmassnews.com/news/massachusetts/easthampton-students-looking-to-raise-money-for-national-competition/article_c3e27c80-2f15-11e9-b98f-f7dacf64d37c.html thank you Western Mass News for doing a story about the students.